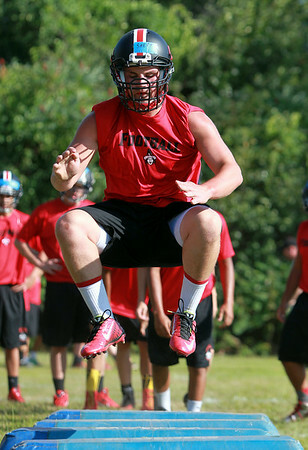 Salem High School football player Bailey Skeffington leaps high in the air during a drill on the first day of training camp on Monday afternoon. DAVID LE/Staff photo. 8/18/14.